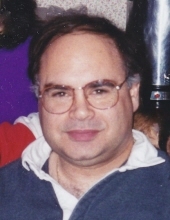 Robert F. Sica, 70, of Hamilton, passed away Saturday after a long illness. Born in Chelsea and raised in Malden, Robert attended Boston State College and enjoyed a long and successful career helping others in the health and human services field. An amateur pilot in his younger days, Robert often dreamed of the heavens above and was known to those around him as the foremost expert on all things related to the Space Age. Robert enjoyed travel, kayaking, loud music, meatball subs and offering his opinion on virtually any topic. He cherished his beloved wife Melissa and cared deeply for his son Robert and his wife Ardith, of Methuen, and his grandchildren Francis, Henry and Violet, whom he adored as well as his siblings Michael, of Londonderry NH and Maria, of Malden and longtime dear friend Dennis Cormier of Arizona. Though missed deeply, we know he is now traveling freely amongst the stars. Godspeed, Robert. His funeral service will be held graveside at the Woodlawn Cemetery, 302 Elm St, Everett, Monday, October 29th at 1pm. A celebration of Robert’s life will be held on Saturday November 3rd, 12pm at the Pearl Street Station Restaurant, 53 Summer Street, Malden. Relatives and friends are invited to attend. Arrangements by the Campbell Funeral Home, 525 Cabot Street Beverly, MA 01915. In lieu of flowers, please consider a donation to Northeast ARC of Danvers, MA. Information, directions, and condolences, at www.campbellfuneral.com. To send flowers or a remembrance gift to the family of Robert F. Sica, please visit our Tribute Store. "Email Address" would like to share the life celebration of Robert F. Sica. Click on the "link" to go to share a favorite memory or leave a condolence message for the family.